Jeff Simmons serves as president and CEO of Elanco Animal Health. A global leader with a 60-year track record of growth, Elanco provides comprehensive products and knowledge services to improve animal health, welfare and food animal production with 125 brands in 90 countries. As the head of Elanco Animal Health for the past decade, Simmons has directed the company’s transformation from a primarily US feed additive company to a premier global player with a balanced and diversified business. During Simmons’ tenure Elanco has tripled in size, created a unique innovation engine, completed 10 acquisitions and built five new businesses, including a $1 billion companion animal business. In his nearly 30 years with the company, Simmons has held an array of roles, from sales and marketing, to country director in Brazil, area director for West Europe and executive director for North America and Global Research & Development. In these roles, Simmons gained a new perspective on food, agriculture and companionship that has sparked a deep conviction for finding solutions to achieve global food security through a One Health approach. He’s authored white papers on this subject and helped found the Enough Movement, a 30,000-member global community dedicated to building dialogue and finding practical solutions for a food secure world. The Elanco team is grounded in delivering a higher purpose: Food and Companionship Enriching Life. The team helps animals and pets live healthy, good quality lives. They support the physical, emotional and social well-being of people through a balanced diet rich in protein and the companionship of pets. And, they preserve the health of the planet by helping farmers raise animals more efficiently. Simmons brings his passions for food security and enabling leaders to life daily through his pursuits with Hatch™ and Edge Mentoring. As the co-founder of Hatch, Simmons and the team have created a unique, donation-free model to deliver sustained food security through protein and partner value. Today, Hatch provides eggs to food banks in communities across the country. Simmons also founded Edge Mentoring, one of the fastest-growing mentorship organizations in the country, present in over 40 states and reaching into several countries and multiple continents. Edge’s purpose is to equip and accelerate whole-life excellence in the leaders of today and tomorrow. Simmons has also held a number of leadership positions, including serving as a former board member and chairman of the compensation committee for Chiquita Brands. He has also completed terms as president of the Health for Animals, chairman of the FFA Foundation Board and as a board member of Gleaners Food Bank of Indiana. For more, you can follow Jeff and Elanco on social media @JeffSimmons2050, @Elanco, or view the ENOUGH report at ENOUGHmovement.com. Clint Lewis is executive vice president and group president responsible for International Operations, Commercial Development and Lifecycle Innovation, Global Genetics, Aquatic Health and Human Medical Diagnostics at Zoetis. In this role, he is responsible for all markets outside the United States. Mr. Lewis also oversees the company’s global commercial development and new product strategy, as well as the Global Genetics business and PHARMAQ, the company’s aquaculture business. Mr. Lewis previously served as president, International Operations at Zoetis (2015-2018) and president, U.S. Operations at Zoetis (2013-2015). Prior to the formation of Zoetis, he served as president, U.S. Operations, for Pfizer Animal Health, which he joined in 2007. Mr. Lewis joined Pfizer in 1988 as a sales representative in the human health pharmaceutical segment and held positions of increasing responsibility across various commercial and general management roles dedicated to human health. In addition to his responsibilities at Zoetis, Mr. Lewis served as the former vice chair and chairman for the Animal Health Institute (AHI), the trade association for the animal health industry in the U.S. (2009-2012). He also served as the treasurer for Animal Health Europe, the trade association for the animal health industry in Europe (2016-2018). 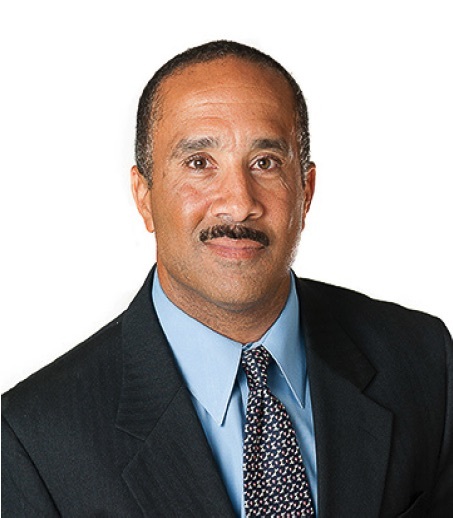 Mr. Lewis serves as a member of the Board of Directors for International Paper, where he is a member of the Governance and Public Policy, Environment and Sustainability subcommittees. Mr. Lewis has been recognized by Black Enterprise Magazine as one of its 300 Most Powerful Executives, and by Savoy magazine as one of its Top 100 most influential African-Americans in Corporate America. Scott D. Holmstrom, Ph.D. Scott Holmstrom received his doctorate in analytical chemistry from Miami University in 2000 and joined Elanco Animal Health the same year. Dr. Holmstrom has provided chemistry, drug disposition expertise, and significant leadership contributions toward the development and commercialization of drug products for Elanco, including global approvals for Comfortis and Trifexis. Additionally, from 2011 – 2013, he served to integrate the Jannsen Animal Health research and development efforts with those of Elanco. From 2013-2016, Dr. Holmstrom led global regulatory affairs for Elanco. In this role, he was responsible for shaping the regulatory landscape to enable outcomes for Elanco and their customers, and to ensure that Elanco deliverables are completed in accordance with appropriate regulations and commitments to global regulatory authorities. In 2016, Scott led Elanco’s efforts for development and execution on late-stage external innovation strategies. During this time, Galliprant was in-licensed following the development of specific strategies and execution plans to partner with external companies to commercialize products for Elanco. Currently, Dr. Holmstrom currently serves as Vice President, Global Product Development, leading Elanco’s global product development efforts, for food and companion and food-producing animals, including pharmaceuticals, biopharmaceutics, and vaccines. In this role, he provides the strategic direction for the global development of products through external and internal coordination, governance, and resourcing. Charles Hoare has almost 20 years of experience in healthcare investment banking. Prior to joining Stifel, he was Managing Director and Head of Global Healthcare at Commerzbank. He spent most of his career at Merrill Lynch, where he was the Managing Director responsible for the Northern European healthcare business and the animal health franchise. He serves as Chairman of the Bulldog Trust, Chairman of Chariot Innovations Limited (the commercialisation arm of the London School of Hygiene and Tropical Medicine), and is a Non-executive Director of Placehill Limited, and Laguna Ventures Limited. Ivo Claassen started his career over thirty years ago at the National Institute for Public Health and Environment in the Netherlands. From there, he moved to the Dutch Veterinary Research Institute in Lelystad where he has occupied various positions. Dr Claassen has been involved in R&D, production, QA/QC and regulatory aspects of human and veterinary medicines. He has developed and executed projects in Asia, Africa and the Middle-East on capacity building of institutional infrastructure for veterinary infectious disease control. He was a co-opted member of the Committee for Medicinal Products for Veterinary Use (CVMP) for the quality of veterinary biotechnological medicines. Since 2018 he has held the position at the European Medicines Agency as Head of the Veterinary Medicines Division. Dr. Zach Bush, Founder & CEO, Seraphic Group, Inc.
Zach Bush, MD is a triple board-certified physician with expertise in internal medicine, endocrinology and metabolism, and hospice and palliative care. His basic science and clinical research over the last 17 years have moved from chemotherapy development to the role of the microbiome in human health. As founder and CEO of Seraphic Group, Inc. Zach has started over a dozen companies in pursuit of root cause solutions in the areas of health, energy, and ecology. Through his teams’ investigation in these areas, he has discovered that disruption of natural carbon cycles is common in all sectors. With this unifying science, he has launched a global education campaign with the Farmer’s Footprint docuseries and non-profit, that brings consumer and corporate support to farmers prepared to transition from chemical farming to regenerative agriculture and create a healthier future. Frank Dion, Managing Partner, GetMoreSales Corp.
Frank’s 3+ decades of assessing corporate growth objectives and analyzing the gaps between objectives and actual growth results enables him to help business owners and key stakeholders build strategic plans to drive predictable growth. Robert Kinch, Managing Partner, GetMoreSales Inc.
With more than 25 years of experience building and transforming sales teams into effective and targeted revenue drivers, Rob is uniquely positioned to deliver sales structure and process alignment driving predictable growth. In this role, Mr. McAlpine has overall responsibility for working with government and industry partners on matters of public policy, programs, regulatory affairs and trade. Prior to joining Maple Leaf Foods, he served as Deputy Minister of the B.C. Ministry of Agriculture, Food and Fisheries from 2002 to 2005. He also obtained significant experience with the Federal Government as Executive Director and Director General, International Trade Policy Directorate; Director Grains and Oilseeds Division; and Deputy Director Multilateral Trade with Agriculture and Agri-Food Canada. Mr. McAlpine also held the position of Executive Director of the National Farm Products Council and was a Trade Commissioner with the Department of Foreign Affairs and International Trade, with postings in Kuwait, Bangkok, Brussels, Edmonton and Ottawa. He holds a Masters degree in Economics from the University of St. Andrews in Scotland. Ted Bilyea, President, Ted Bilyea & Associates Inc.
Ted Bilyea retired in 2005 as Executive Vice-President, Maple Leaf Foods Inc., having spent a very successful 35 years with the same company. Mr. Bilyea is an Agri-food consultant specializing in innovation with clients in both private and public sector. Prior to becoming Executive Vice President of the parent company, Maple Leaf Foods Inc., Mr. Bilyea held the position of President of Maple Leaf Foods International, from 1995 to 2004. Earlier in his career with the antecedent company Canada Packers Ltd., Mr. Bilyea led teams that pioneered the export of chilled beef from Canada and was the first in North America to export chilled pork to Asia. Under his leadership Maple Leaf Foods entered the specialized bakery business in Europe and became the largest exporter of food in Canada. Mr. Bilyea holds a B.A. (Hons.) and an M.A. in International Relations from York University and is the past recipient of the H.R. MacMillan Laureate in Agriculture from the University of Guelph and was inducted into the Canadian Agriculture Hall of Fame in 2018. He is a member of the board of Paterson Global Foods Inc., and is past Chair and special advisor to the board of the Canadian Agri-food Policy Institute. Previously he has served on a number of other boards including B.H.G. International Trade Inc. (major supermarket in China), Alberta Livestock and Meat Agency, Afexa Life Sciences (Cold-fx), PrioNet Canada, the University of Guelph and chaired the Food Processors of Canada and Metals in the Human Environment NCE. Ted has an extensive global network in the agri-food space and frequently does keynote presentations in Canada and abroad. Dr. Horbal is a Member of the Royal College of Veterinary Surgeons and has extensive training and experience in the field of equine dentistry, oral surgery, and upper airway disease. She received her Bachelor of Arts and Veterinary Medical Doctorate from the University of Pennsylvania in 2011 and completed a residency in Equine Dentistry at the University of Edinburgh from 2013-2016, where she also received her Masters of Philosophy degree. Upon completion of her residency program, she returned to the US, opening a small animal and equine emergency and referral center in Pittsburgh, Pennsylvania. This hospital served as the starting ground for VetNow’s Virtual Care initiative- to perfect clinical workflows and implementation in a real-life busy veterinary hospital while setting the highest of clinical standards. While still practicing equine surgery clinically, Apryle has moved on from the operations of the hospital to focus solely on the development of the Virtual Care Continuum to optimize animal health. Profeesor S. Peter Borriello PhD, FRC Path. Professor Borriello is a microbiology graduate and Fellow of University College London. He is currently Chief Executive of the Veterinary Medicines Directorate. He also has UK responsibility for AMR surveillance of animals and for animal antibiotic use, sits on the Government High-Level Steering Group for the national AMR strategy, and is a member of the Hong Kong Government Expert Committee on AMR. His career history includes appointment as Head of a Medical Research Council Unit; founding Director of the Institute of Infections and Immunity, University of Nottingham; Director of the Public Health Laboratory Service Central Public Health Laboratory; Director of the Health Protection Agency Centre for Infections; and Chief Executive of the Veterinary Laboratories Agency. His basic science research has led to over 300 publications. He is currently chairman of a number of international and national learned societies and committees, and on the editorial boards of scientific journals. He was the first chair of the World Health Organisation Laboratory Twinning Programme, and was the first Chair of Med-Vet-Net (a consortium of European animal and human health Institutes co-ordinating improved zoonoses research and responses). He holds three university chairs. Erwin Blomsma holds a Master’s degree in Bioscience Engineering and a Ph.D. in Applied Biological Sciences. He started his career as intrapreneur at J&J in 1996. His career as entrepreneur started in 2000 upon co-founding Crystallics, a spin-off specializing in preformulation research. Crystallics was absorbed by Avantium Technologies in 2001, and he was appointed Chief Operating Officer there in 2004, playing a key role in making the company cash-positive. In 2007, Dr Blomsma joined Dr Stefaan Wera and Professor Johan Neyts as co-founder and CEO of Okapi Sciences (veterinary drugs). From January 2014 to August 2015 he was the GM of Aratana Therapeutics NV in Belgium and Vice President of Aratana Therapeutics, Inc., a dual role he assumed after the acquisition of Okapi Sciences. In July 2015 he joined Aratana Therapeutics NV, Stefaan Wera BVBA and Nesya Goris as co-founder of ViroVet. Erwin Blomsma is the active CEO of ViroVet NV. Furthermore, Erwin Blomsma was Chairman of FlandersBio (the biotech cluster in Flanders with over 350 member companies) for 4 years and within the frame of preparing the B-round of ViroVet he stepped down to become Vice Chairman as of November 2018.